Thinking about the EU’s collapse was once confined to Eurosceptic fringes, but now, as Tim Oliver argues in his review of Ian Kearns’ new book, Collapse: Europe After the European Union, the topic is at the heart of European politics and for good reasons. The book presents inconvenient truths to both pro-Europeans and Eurosceptics. In 2015, Rem Korteweg, then at the Centre for European Reform, penned a piece about how the EU appeared surrounded by the Four Horsemen of the Apocalypse. War haunted Eastern Europe thanks to Russian revanchism. Famine was to be found in Southern Europe where the Eurozone crisis had, amongst many other horrors and hardships, led to an increase in still-births and malnutrition. Death was busy in the Mediterranean harvesting drowned men, women and children who as economic migrants and refugees had been trying to escape Africa and the Middle East. Pestilence meanwhile was in Britain spreading Euroscepticism and populism in the lead up to Britain’s vote on remaining in or leaving the EU. Could things have got any worse for the EU? Those hoping it would not may have sought solace in one interpretation of the myth, which tells of a Fifth Horseman – a woman – bringing harmony. Instead, Donald Trump rode onto the scene. Ian Kearns takes a decidedly End of Days outlook in Collapse: Europe After the European Union and does so to warn of the full-scale of what is at stake for Europe. The challenges facing the EU and Europe are not myths, nor will they be solved through prayers, reminiscing of better days, sticking rigidly to the status quo, or hoping the EU will disappear and with it the problems Europe and its numerous national governments and organisations face. The book is filled with inconvenient truths for pro-Europeans desperate to believe all will be fine and Eurosceptics determined to be rid of the EU but who have given no thought to what Europe would then emerge. Kearns’s approach is straightforward. Each of the aforementioned problems are explored over several chapters. This is followed by an analysis of the EU’s response, showing how reforms have gone nowhere near far enough to ensure the EU will definitely survive. The blame for this lies in a mixture of arrogance by technocratic elites and the naked national self-interest of many national politicians. Many of the issues and reforms covered will be familiar to any student of European politics. Indeed, they will be familiar to any European. What will not be familiar is the post-EU Europe then mapped out and how Europe might get there. This is the heart of the book and one that pays careful reading for anyone interested in the EU’s and Europe’s future. Kearns admits he could outline numerous possible developments that could trigger the collapse of the EU. Instead, he focuses on two that are economic and four that are a mix of politics and security: a new recession; a second financial crisis; a Eurosceptic breakthrough in the Eurozone’s core; a secession within a member state; a breakdown of the EU-Turkey migration deal; and a backlash against any attempt to deepen integration. He then sets out what ensuing Europe would look like in economic and security terms, noting rightly that what sort of Europe emerges would depend on how European disintegration occurred. What sort of Europe would follow the collapse of the EU is one that many, including those who attack the EU, have rarely if ever give any thought. 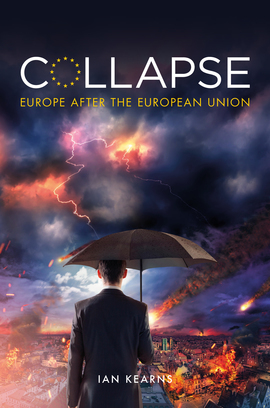 Collapse: Europe After the European Union. Ian Kearns, Biteback, 2018. 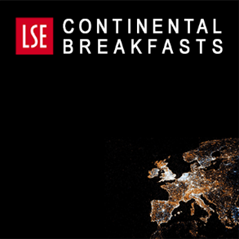 Kearns argues that Europe would more than likely revert to a continent riven by divisions, that is thrown back to a crude balance of power politics where might is right, and where the values of liberalism, pluralism, openness, multilateralism and tolerance are discredited by the EU’s collapse. Their place is filled by authoritarianism, nationalism, and a deep suspicion of others and working with them. Here Kearns shines a light on some aspects of Europe’s politics – underlying national grievances, prejudices, conspiracy theories, racism, stereotyping, and a desire to blame others – that still lurk beneath the surface. What would bring them to the surface would be the staggeringly high economic costs of the EU’s and/or the Eurozone’s implosion. A Europe in which politics is dominated by authoritarianism would be a Europe where more than the EU would be swept away. Kearns points out that the EU and other organisations such as NATO have helped create an unprecedented, if imperfect, period of European unity and solidarity. The interconnected institutional architecture that backs this up would, therefore, be collectively vulnerable to a situation in which the prevailing political and economic agenda expressed suspicions and hostility to multilateralism, interdependence and openness. To those who believe it has just been NATO that has kept the peace in Europe, this book serves as a reminder that such a belief is now as blinkered as those who think it has all been the work of the EU. Over the past few decades, both have become the core and interconnected parts of Europe’s institutional and political architecture. Both would now more than likely be swept away if the other suffered a catastrophic collapse. Bereft of any political and economic unity, Europe – the smaller states especially, but also the larger ones – would be torn in different directions by competing global powers. Those who hear echoes of a past they hoped Europe had escaped would be right: this would be a Europe that had gone back to the future. In putting forward such a stark warning about the future of Europe, Kearns succeeds in providing a digestible account. He makes clear from the start that his is no academic analysis. References are therefore sometimes in short supply, which at times is regrettable. It also means he draws very little on some of the emerging academic literature on European disintegration. To be fair, this in part reflects how such literature was until recently marginal and viewed with some suspicion by a community of scholars who too often explained integration in terms of it moving forward. That said, some of the literature does now offer more structured approaches – and dare we say it – theoretical ways of looking at European disintegration or differentiated integration/disintegration. Work by Douglas Webber or Hans Vollaard offer structured approaches that screen out the background noise so as to focus on key developments. Kearns himself admits he could have chosen any one of a hundred or more possible triggers for European disintegration. Some – not all – theoretical approaches can prevent us from disappearing down the hundreds of possible scenario rabbit holes by narrowing down what it is we should be looking for or focusing on. Will it be the behaviour of the large states? Will it all hang on, as Webber himself points to and Kearns himself touches on in the book, a ‘crisis made in Germany’? Will external factors such as the withdrawal from Europe of the US security guarantee be the crucial factor? 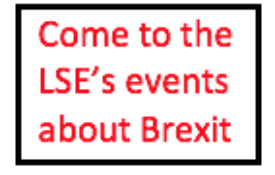 Will it be the spread of ideas, perhaps by Eurosceptics formulating an alternative idea to the EU which is then socialised amongst elites and becomes part of the public discourse? Any student of political science, international relations or European politics will see in the book many different examples that fit into various theoretical approaches to understanding Europe or the world. Realists will certainly see plenty that fits a focus on the power and structure in international society, not least the role of the USA and what a US withdrawal from NATO would do to Europe’s balance of power and the EU’s stability. Constructivists will hone in on the role of ideas in shaping what has happened and could happen in future. Liberal intergovernmentalists will quibble with how easy it is to break-up a system such as the EU, not least given the difficulties the UK has so far faced in negotiating its withdrawal. Breaking interdependencies may be far from easy, even if the largest member states fall out with one another. Whatever the student or researcher’s background or focus, every page raises questions about structure and agency. Finally, what of the UK in all of this? Britons – Remainers or Leavers – cannot ignore how the country’s future is in no small part tied to the fate of the rest of Europe, as it always has been. As Churchill summed it up: ‘Europe is where the weather comes from.’ If the EU’s collapse would hit the likes of the USA or China, then a non-EU Britain cannot expect to be spared. Does Britain, therefore, have a plan to help avoid the EU’s collapse? Is it home to debates that might lead to ideas for a post-EU Europe that avoids the chaos and division the book warns of? Kearns points to how few British politicians or officials have given this topic any thought whatsoever. Consumed by Brexit, they have little time to think about anything other than domestic or Conservative (or Labour) party politics. Herein lies one of the quibbles I have with the book, or at least its marketing. The back cover includes endorsements from Malcolm Rifkind, Paddy Ashdown, David Richards, and George Robertson. All elder British statesmen with long records of serving Britain and Europe. But they are all white, British, male, and the youngest is 66. This is a book about the future of Europe that’s filled with analysis from a rich selection of sources and individuals from across Europe (the acknowledgements are close to half the length of the chapter ‘What is to be done’). The cover, however, goes too far with its British promotional gloss. If there’s one idea the British should be careful not to fall into the trap of, but some do, it’s that the UK is a place apart that can, when necessary, step forward to guide Europe to safety. Britain’s so far piss-poor efforts at grappling with Brexit mean few elsewhere in Europe think the British – its elder statesmen included – are in a position to do anything of the sort. How will the EU interpret the Brexit vote? Steeled in historical comparison this book, for this reader at least moves,ike Schopenhauer, from false premise to incorrect conclusion. The prime reason for the existence of the EU is as a response to US Hegemony. This in itself is an accident of WW2, which hugely enriched the US Economy and deeply damaged Europes ( winners and losers!) it enabled America to set the agenda, and by a preference within Eirope ( probably unavoidable given the above) for false teeth over fast frigates that hegemony has been maintained and indeed advanced ( witness Europe’s response to the Iran sanctions, Israeli actions in the West Bank etc, and wait for the WTO debacle) America isikely to support NATO for its own political reasons, but, whether it does or not Europe has very little it can do by means of response. It will not, can not, ever hope to become a “United States of Europe’ it’s centrist, pan-national Relublican philosophy has hardly begun to be accepted in 60 years. Brexit is a minor item for Europe, as it is, in fact, for the British. WE have travelled such a short distance since the speech of Jean Monnet in 1952 – entitled “The United States of Europe has Begun”.